Ring clamp, wood, 6 inches with wedge insert. Sold individually. Item Number: H20-2021TL Have a question about this item? 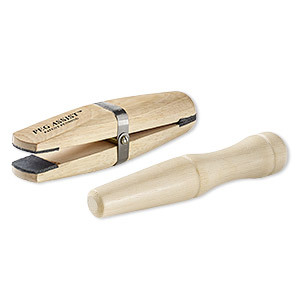 This wooden clamp holds rings and other jewelry-making objects for polishing or displaying. Wedge insert accommodates rings of different sizes. 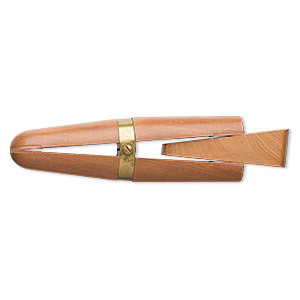 Made of hardwood, this jewelry clamp is 6 inches in overall length. Color of the wood handle may vary from that shown. 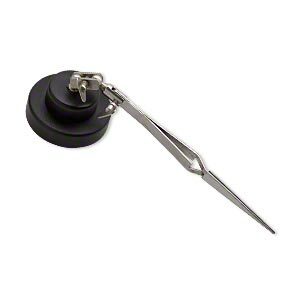 Ring clamp, Peg Assist, leather / steel / wood, black, 6 x 1-1/4 inch clamp with 4-1/2 x 3/4 inch peg. Sold per 2-piece set. 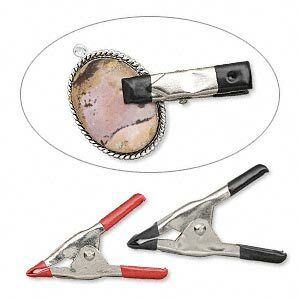 Third hand, steel and stainless steel, 3-1/2 x 2-1/2 inches with 6-1/2 inch tweezers. Sold individually. 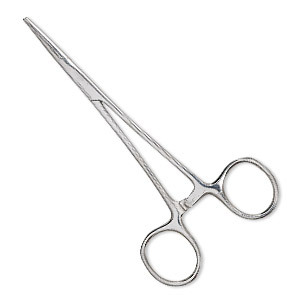 Hemostat, 2-stage locking, stainless steel, 5 inches. Sold individually. 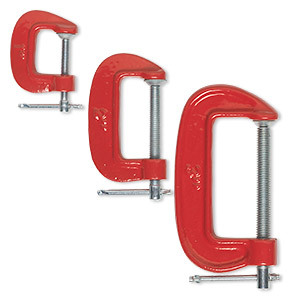 C-clamp set, powder-coated steel, red, 1-inch to 4-3/4 inches. Sold per set of 3. 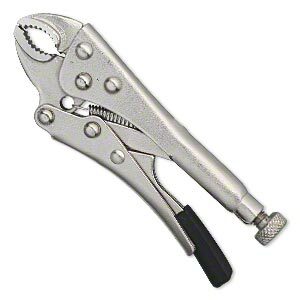 Clamp, clamping pliers, plastic and heat-treated steel, black, 4-1/4 x 1-1/4 inches. Sold individually. Bonding clips, steel and rubber, 2 inches with 1/2 inch grip. Sold per pkg of 6. 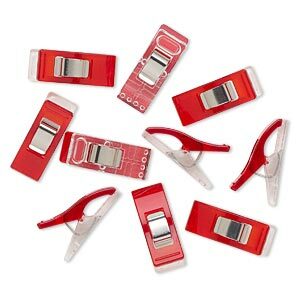 Wonder clip, Clover, stainless steel and plastic, red and clear, 26x10mm. Sold per pkg of 10. 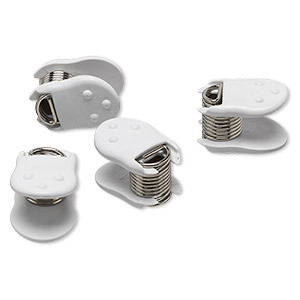 Clip, Bead Bugs, plastic and stainless steel, white or teal, 18 x 16 x 9mm with soft comfort grip. Sold per pkg of 8. 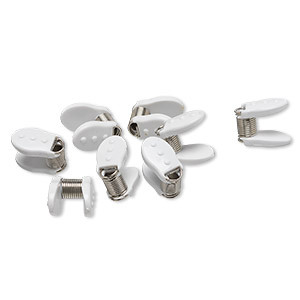 Clip, Bead Bugs, plastic and stainless steel, white, 23x17x17mm with soft comfort grip. Sold per pkg of 6. 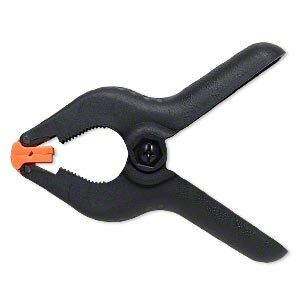 Spring clamp, nylon and steel, black and orange, 4-1/2 x 3-1/2 inches. Sold per pkg of 4.